Joss Whedon comes back to direct the Avengers one more time in “Avengers: Age of Ultron.” This is undoubtedly the most action packed film to date from the Marvel universe. From the very first frame, it is nearly two and a half hours of epic battles with your favorite superheroes. Now, it may be true that some character development screen time has been sacrificed to bring the gloriously orchestrated fighting that graces the screen; however, you have been getting to know these characters for the better part of seven years now. The public demands to see the Avengers in action, and Whedon serves it up on a silver platter! The antagonist, Ultron, is a robot who is introduced really quickly in the film. It really goes like this. Scene 1, the Avengers are fighting. Scene 2, the Avengers just fought. Scene 3, holy crap now there’s an Ultron (whatever that is)! Scene 4, now the Avengers have to keep fighting against Ultron’s plan. I assure you that the script will have its fair share of haters. Comic purists will be angry that some character storylines are meddled with. Comic unknowns won’t get a lot of the character subtext. But remember, this film was made not just for newbies or fanboys. 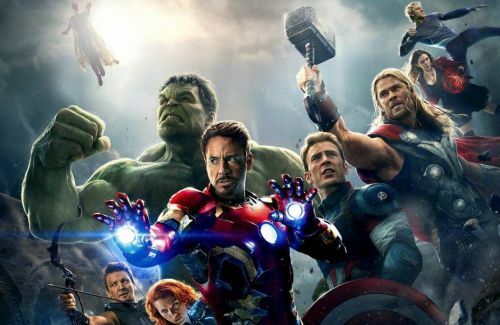 The primary audience is an entire generation of people who are just now being exposed to the Marvel Universe, and for that group, the film finds enough balance of love for the characters, forward driven plot movement, and plain opportunity to see this group of superhuman misfits do what they do best. If you look at the subtext, the film is all about evolution; of the species, of belief, of technology, of humanity, and of the Avengers. Watch with this in mind, and you might find you appreciate the writing more than you thought. Speaking of the writing, the dialogue is fantastic. No, there is not a whole lot of one on one character deep thought conversations, but Whedon’s wit is splattered all over this script and each character throws quips in the midst of chaotic action. This is a fantastic summer film and a welcome addition to Marvel’s growing list of blockbuster achievements. This is a solid film in any format, and it’s just hard to believe that it will probably be another three years before we truly get to see the Avengers assemble again! This entry was posted on Friday, May 1st, 2015 at 12:46 pm	and is filed under Comics, Film, News. You can follow any responses to this entry through the RSS 2.0 feed. You can skip to the end and leave a response. Pinging is currently not allowed. I can’t wait to see it! Sounds like the best of both worlds. « ‘Roots’ Reimagining Coming To 3 Big Networks In 2016!! !